Washington DC — Recent headlines have touted the World Bank’s achievement in issuing “the first global bond” on the blockchain. But you may not know the backstory to how the World Bank’s blockchain innovations lab got started. 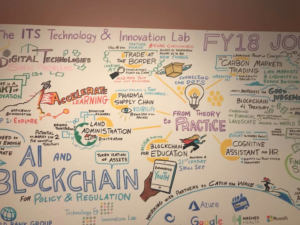 I visited the lab to see how this global development institution is ramping up its blockchain prowess, while turning its once quaint technology department into an innovations hub for poverty reduction projects across the world. 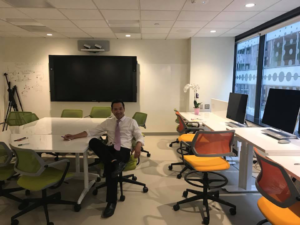 My gracious tour guide is Vince Bui, a former investment banker, who is now a strategist and investment planner for the IT department of the World Bank Group. He shared his passion for how blockchain can help the Bank achieve its mission of maximum social impact. I’m an ex-investment banker turned World Banker. 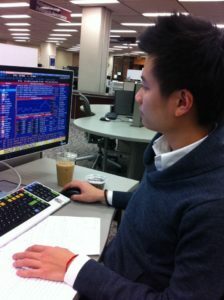 I’m also an economics nerd who is also teaching technical analysis at American University in DC. I saw virtual currency as an extension of those coins used in video games as a way to trade items and to transfer value. There’s an interesting connection between video game tokens and cryptocurrencies. I kind of forgot about Bitcoin until the huge market run-up late last year. But after reading up on blockchain architecture and talking to World Bank staff, I saw how it can be an efficient crowd-sourcing mechanism due to decentralized governance and shared monitoring by network participants. The underlying protocol — like the railway that enables Bitcoin to run — allows social and financial coordination in so many domains or different verticals. How Did the Blockchain Innovations Lab Start? It’s a story of twists-and-turns involving internal debate about the nature of work, and hitting roadblocks to setting up a fully budgeted lab with dedicated staff. It started from informal discussion groups. It then transformed into an innovation unit with two labs: a blockchain innovations lab and an artificial intelligence (AI) lab. Along the way, there were discussions by groups that would never otherwise interact with each other. Staff presented research papers. It was internal community building. The agile, collaborative style of building blockchain applications would prompt the Bank to step into unchartered waters since IT operations weren’t set up to be an agile tech start-up. The World Bank Group is owned by governments of member nations. It’s a massive development organization, harking back to the days of post-WWII reconstruction. Fast forward, those blockchain working groups garnered incredible interest from across the organization in domains important to the Bank’s global development work. This includes supply chain, cross-border payments, financial reconciliation, trade finance and more. They were able to sync up silo efforts on blockchain exploration from different groups like the Bank’s markets Global Practice, Treasury office, and the International Finance Corporation (or the Bank’s private investment arm that interacts with global capital markets). What is the World Bank’s First Test Case? The Bank seems to have a lot of interest in cross-border payments and global lending. Particularly, in global bond issuance, there are significant cost savings to be had given the inefficiencies and lengthy process points between multiple stakeholders. The World Bank is a major bond issuer and is known for its ultra strong creditworthiness due to backing from member nations. In late August, the Bank contracted with the Commonwealth Bank of Australia — the country’s largest bank, to issue a public bond, using the private Ethereum blockchain. The deal was $100M AUD. This was an effort to deploy a clear use case of blockchain to speed up settlement time while managing the lifecycle of a debt instrument. What Social Impact Applications Are You Excited About? I attended a “demo day” at the Bank that featured a range of partners and potential partners. Some areas the Bank is looking is pharma/healthcare supply chains in developing markets where distributed ledger can provide traceability and more transparency. There are some strong enterprise players in this space, such as like Hashed Health and Microsoft. The World Bank is super invested in environmental initiatives so blockchain and the tokenization of assets could boost liquidity in carbon markets trading. Crypto tokens can be backed by real world assets like stocks, water, real estate, or in this case, carbon credits. Market actors would like to purchase carbon credits as a way to offset their CO2 emissions. But that market is clunky and inefficient. The goal here is to streamline market mechanisms that will reduce emissions. It’s still experimental but that’s the vision. Lastly, the lab is also integrated with AI capabilities so there may be some interesting interplay there. A colorful visual showing potential areas the World Bank could take on, including carbon trading. 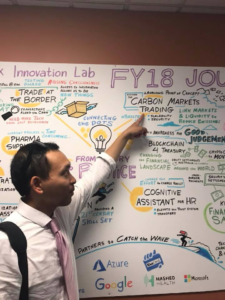 How is the World Bank helping to build the broader blockchain community in Washington, DC? 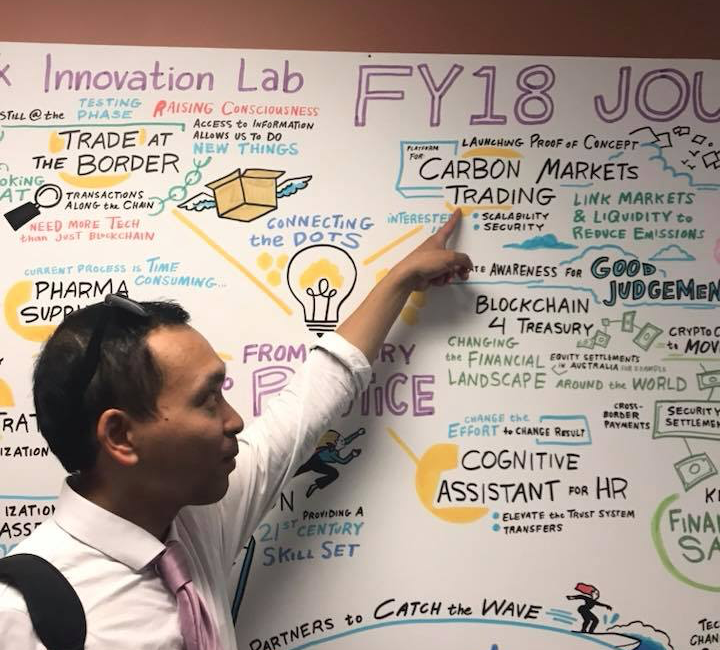 How the Bank managed to launch its innovations lab can be a good case study for others involved in projects. There’s app development, business development, partnership building, product “pitching” and “fundraising.” It shows the frictions, messiness, and coordinating issues of innovating in a multi-national org. But it also shows how when resources and expectations are aligned, real innovation can happen. Two steps forward, one step back. Now the lab has dedicated staff and a budget. Blockchain is the most rapidly evolving tech out there. So as long as the bank has a governance framework of doing test pilots with willing partners in member countries, it can help foster best practices. It’s the nature of modern-day opened collaboration.